According to the aboriginal wiki, Mitjili’s noted as being in linage to one of the original aboriginal people of Australia. As part of the Australian aboriginals that first inhabited Australia Mitjili is getting started on her career. Even though her first acting job was playing the title role in film Nana, she is looked at as one of the most famous Australian people. She has also been featured in Beck Cole’s SBS documentary Lore of Love, where she teaches her granddaughters about the traditional rules of love. Acting is the latest of many jobs in Mitjili’s life. She has also taken up aboriginal dot painting in the last few years and has become a very highly regarded artist. 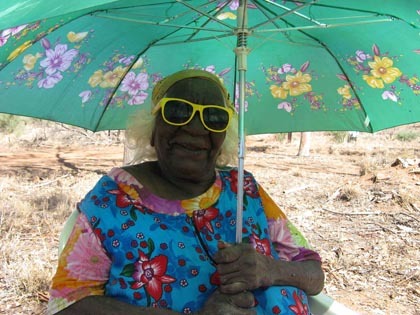 The beautiful aboriginal art symbols and aboriginal poems featured in the film are her own.